Z***LIST OF MY MOST POPULAR BLOGS!!!!!! ZZ**SEARCH BY KEYWORD “SHARING” FOLLOWED BY LANDSCAPES, WATERFALLS, ROCK FORMATIONS, WILD ANIMALS, ETC. FOR HUNDREDS OF INSPIRING PICTURES!!! From this definition of creativity it means that you have to make a new or original idea or thing which didn’t exist before in time. Many of us think that we are being creative by just rearranging old ideas and making “new” creations by rearranging shapes, sizes, colors, and materials. This is a very simple kind of static creativity because we are really not inventing anything truly new or original which hasn’t existed before but merely changing and/or rearranging the parts. True creativity is inventing something new by synthesizing parts which never functioned together before and making them function together more efficiently in a truly original and useful new way. 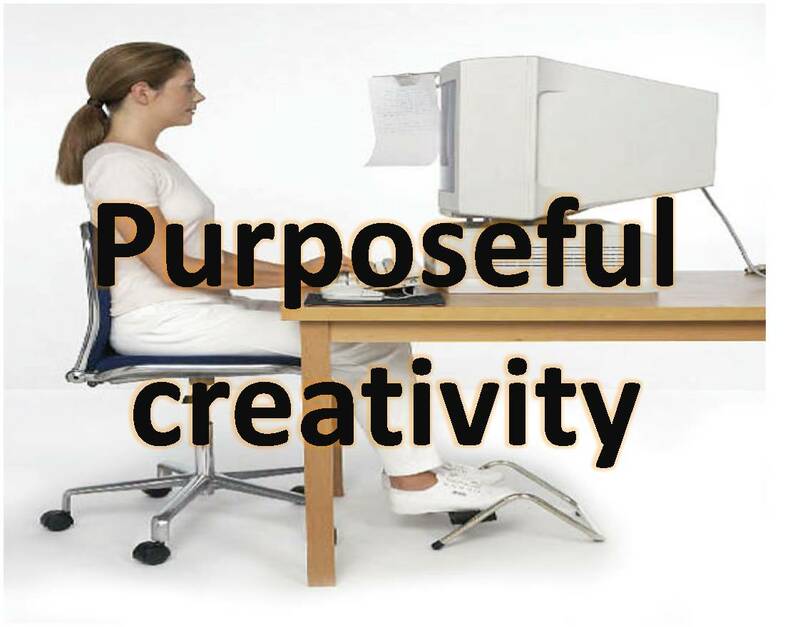 Technological inventions are examples of true frequently desirable efficient creativity. Food, fashion, music, and literary creativity is frequently overrated very subjective inefficient creativity which frequently has minimal real value in the world for the common human. If you want to be technologically creative then you have to understand efficiency which frequently means creating something smaller, faster, and more efficient from an energy usage point of view. If you want to be creative in the liberal arts world then all that you have to do is to change and/or rearrange shapes, sizes, colors, and materials. In literature you have to change and/or rearrange topics or idea sequences and in music composition you have to change and/or rearrange cords and musical notes. You will basically be changing by adding and/or subtracting shapes, sizes, colors, cords, notes, topics, words, sentences, etc. The examples which you will be adding to and/or subtracting from will be original works of art so you will have to gain much knowledge about historical artwork which you can then proceed to change and/or rearrange. In the liberal arts fields you should try to find the “best” subjective examples of historical artwork, learn from them and then proceed to change and/or rearrange them to create what you think are better examples of some very subjective artwork with your personal biases. If you want to remain creative then find more excellent historical examples of creativity in your field of interest and then proceed to change and/or rearrange them. If you liked this evergreen blog then read more of them and one or more of my evergreen books, especially COMMON SENSE. This entry was posted in common sense, education, science, society and tagged common sense, creativity, education, inventions, liberal arts, literary creativity, science, society, technology, True creativity, truth on November 21, 2013 by uldissprogis. SHARING 10 INSPIRING WATERFALL LANDSCAPES!!! STEALING CAN BE JUSTIFIED UNDER 5 CIRCUMSTANCES!!!!!! SHARING 50 AMAZINGLY UNIQUE WILD ANIMALS!!! THE MOST IMPORTANT “SECRET” PRIORITY IN A SINGLE LIFE!!! SHARING 51 INSPIRING WILD ANIMAL PICS!! !